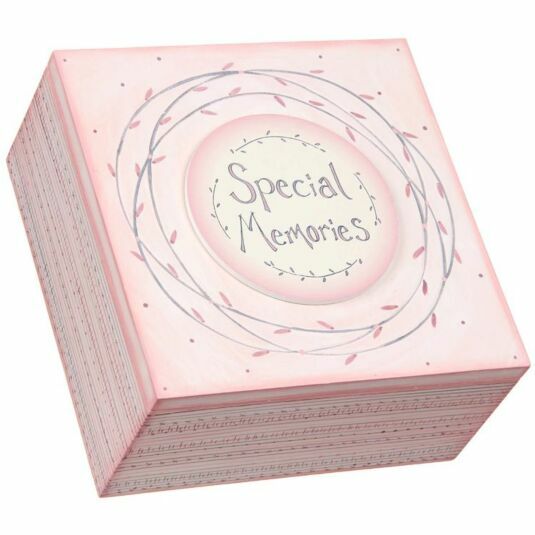 Preserve old photos, important documents and memorable items in this pretty keepsake box from East of India. 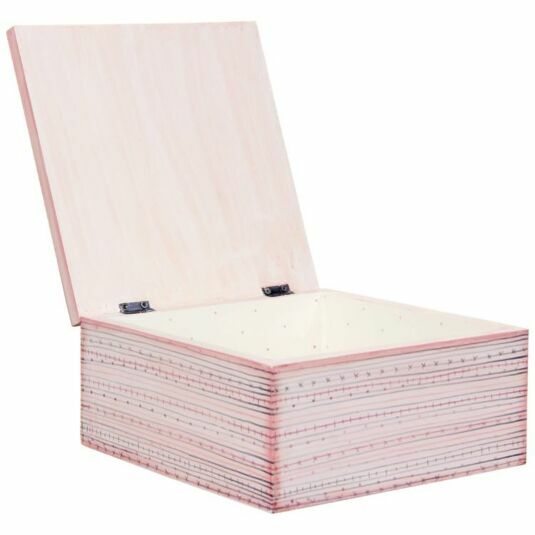 The sides of the box are decorated with a simple cross, dot and line pattern in pink and grey. Inside the box is painted in pale cream with a pattern of tiny polka dots. This keepsake box would make a lovely gift for those starting life in a first time home, growing families and newly-weds.